This mani is inspired by Mari_lumme (IG), I actually found this on Pinterest though and it linked me to her blog! :) I am really actually happy with the way these turned out! 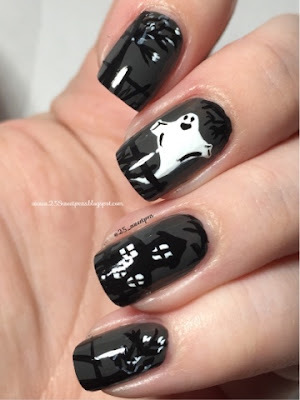 They were super fun to do and I feel like they are "supernatural" yet not in the dark sense. I don't know if that made sense but hopefully someone gets it. :D lol!! So the base color I used is Essie Power Clutch. I don't know about anyone else but recently when I have been using Essie I feel like it has a stronger smell than other polishes I have been using recently. Have any of you noticed this by chance? So what do you all think of these? I feel like they are great Halloween nails! 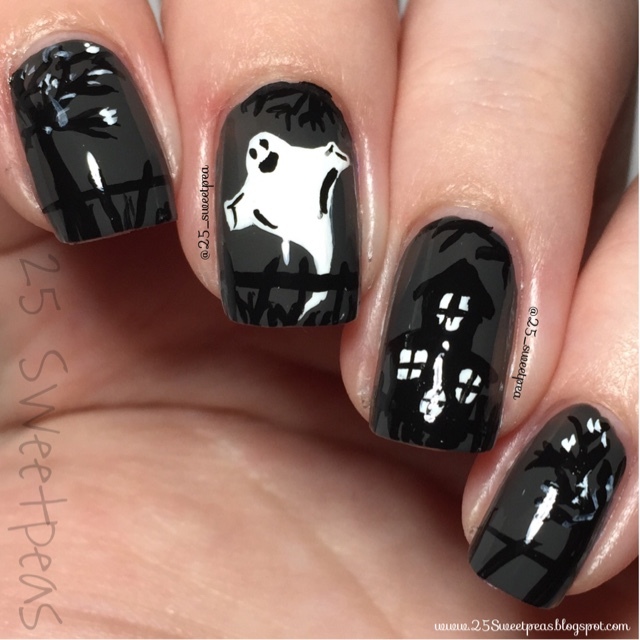 I never get into Halloween nails that much so for all I know this may be the closest I do! ;) I am honestly ready for the Christmas nails! :D Crazy right, I know! They are just so fun!! !